Rosa Luxemburg on the roots of May Day. The day of this celebration was to be April 21. At first, the Australian workers intended this only for the year 1856. But this first celebration had such a strong effect on the proletarian masses of Australia, enlivening them and leading to new agitation, that it was decided to repeat the celebration every year. The first to follow the example of the Australian workers were the Americans. In 1886 they decided that May 1 should be the day of universal work stoppage. On this day two hundred thousand of them left their work and demanded the eight-hour day. Later, police and legal harassment prevented the workers for many years from repeating this [size of] demonstration. However in 1888 they renewed their decision and decided that the next celebration would be May 1, 1890.. In this case, as thirty years before in Australia, the workers really thought only of a one-time demonstration. The congress decided that the workers of all lands would demonstrate together for the eight-hour day on May 1, 1890. No one spoke of a repetition of the holiday for the next years. Naturally no one could predict the lightning-like way in which this idea would succeed and how quickly it would be adopted by the working classes. However, it was enough to celebrate the May Day simply one time in order that everyone understand and feel that May Day must be a yearly and continuing institution. The first of May demanded the introduction of the eight-hour day. But even after this goal was reached, May Day was not given up. As long as the struggle of the workers against the bourgeoisie and the ruling class continues, as long as all demands are not met, May Day will be the yearly expression of these demands. And, when better days dawn, when the working class of the world has won its deliverance then too humanity will probably celebrate May Day in honor of the bitter struggles and the many sufferings of the past. 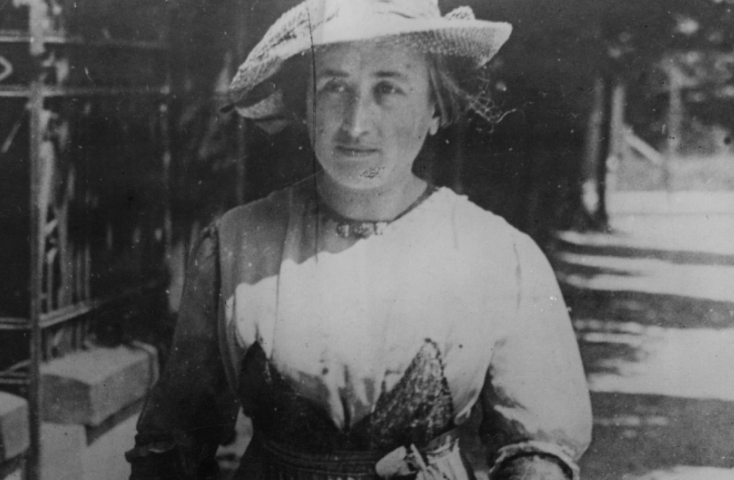 Rosa Luxemburg was a philosopher, economist, and revolutionary socialist.